We have had a wonderful summer and an extraordinarily dry and sunny October. Everything in Linda's garden came early this year so Linda replanted some items. The carrots, beets and peas are doing amazingly well for a second crop. 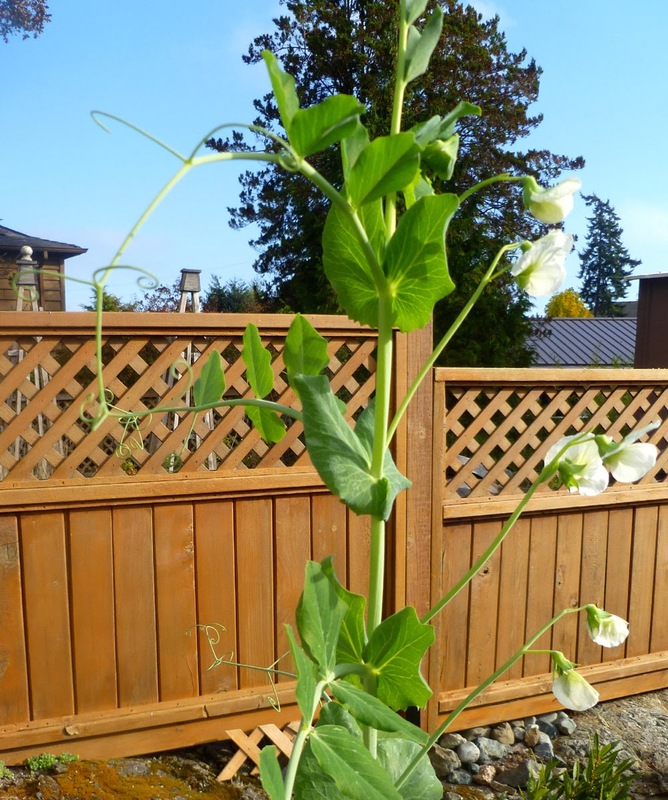 As you can see, October 25 and the peas are still flowering. Our resident hummingbirds have been feeding at the pea flowers. The peas are delicious and would be very plentiful had it not been for a deer who was smart enough to crawl under our fence. 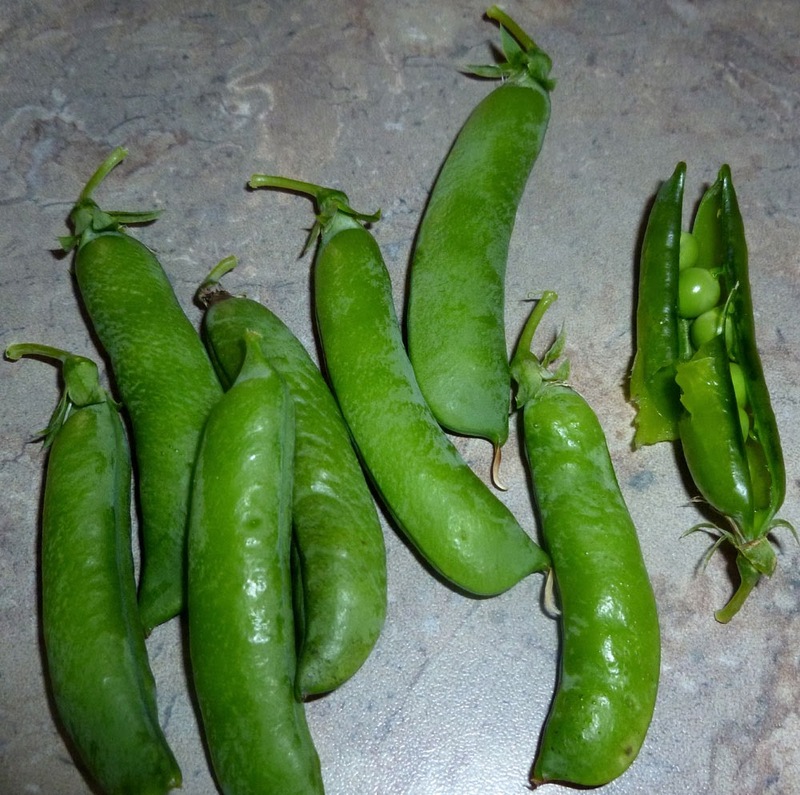 I picked these peas today and promptly ate them. 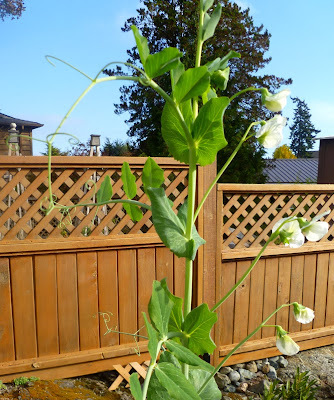 Who would have though that we could get two crops of peas. Linda did! It is so wonderful to be living in the amazing place. For more pictures, visit our Facebook page. Finlayson Arm Road - an unusual side trip!